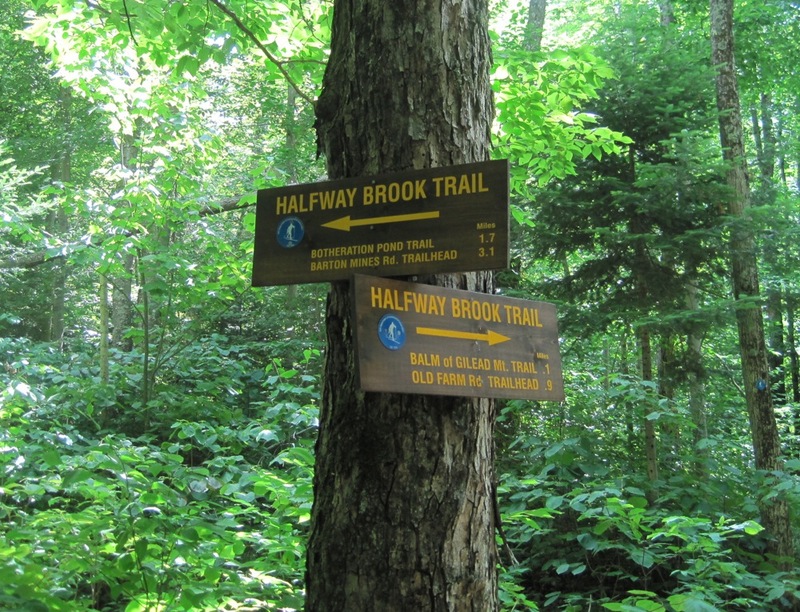 The Halfway Brook Trail was another traditional path through the Garnet Hills, in the Southern Adirondacks. 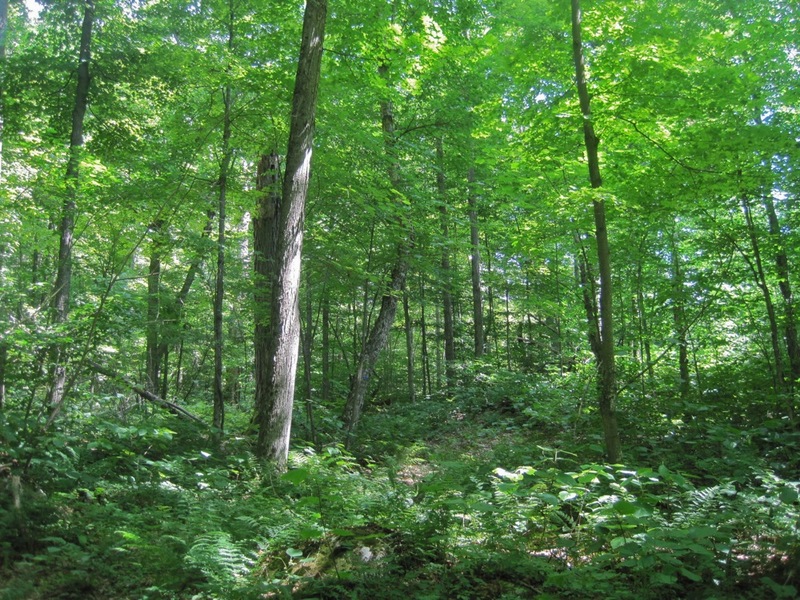 It was used by locals for decades prior to the land’s inclusion into the Forest Preserve. In the 1930s, it was traveled by mine workers moving from their North River living quarters to the mine each day. In the last 50 years, the trail has been used mostly during the winter by backcountry skiers. Halfway Brook Trail now officially extends all the way to the old farm road, absorbing (and shortening) a trail that had been called “Overlook” on the Garnet Hill trail map for years. I was never sure if Overlook was actually a new name for part of the Halfway Brook Trail, or something truly distinct. 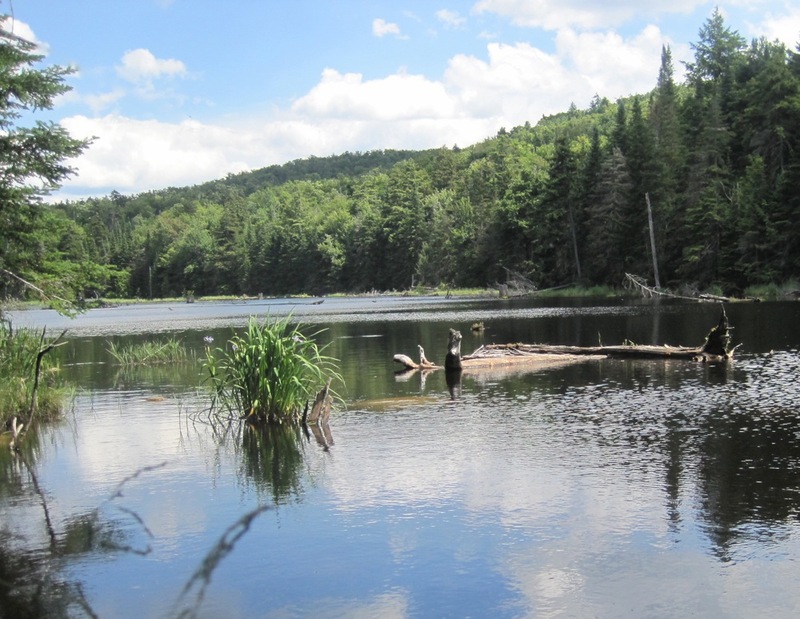 To further complicate things, the first section of the trail, became known as the William Blake Pond Trail — another result of the way lodge guests used the route. The trail climbs very gradually, gaining 300 feet over the better part of a mile. The first body of water you reach is William Blake Pond. It’s a joint venture between man and beaver, with the beaver building significant natural structures on top of a manmade foundation. 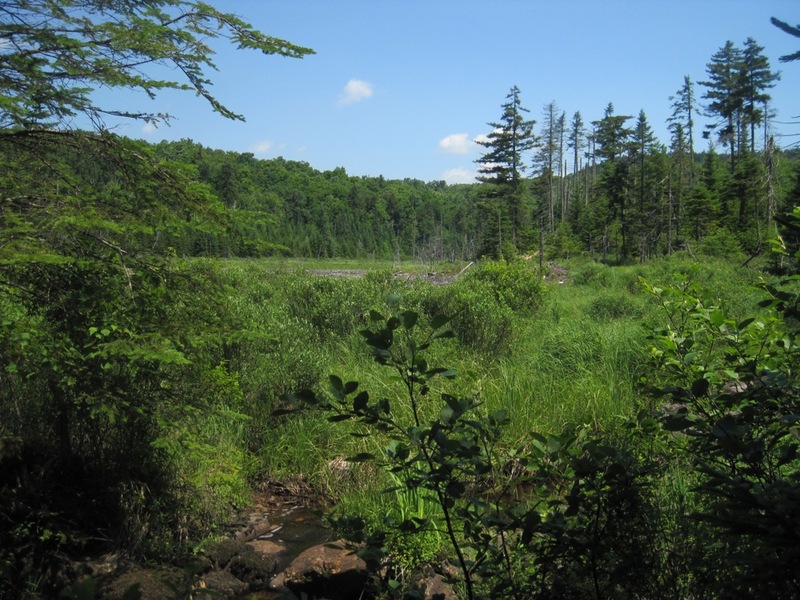 The pond was originally dammed to create a water source for a process to separate garnet from tailings. When it had outlived it’s usefulness, the Beavers went to work. In summer you make your way around the north shore of William Blake Pond. Beyond the pond, the trail climbs again steeply gaining another 60 or 80 feet and arrives at “The Beaver Swamp.” In the winter the skiing on the swamp is sublime. You can often see the remains of old tracks, but often they are filled in by the wind. 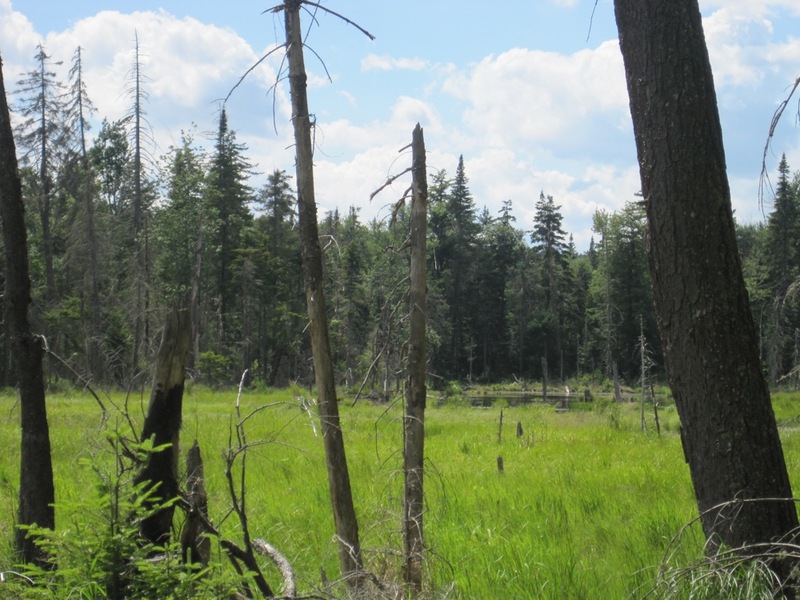 We’ve always treated the beaver swamp is the point of no return. If I’m going beyond this point, I should be carrying more than I can fit in a buttbag. After you move past the swamp the trail moves through a notch, with cliffs on the north side and a more gradual slope on the south. 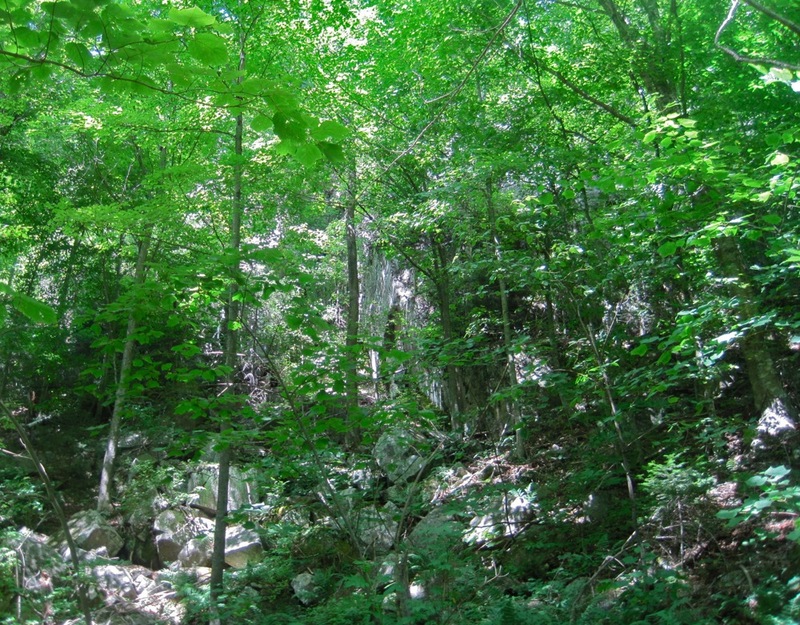 The gap between Balm of Gilead and Harvey Mountain forms a logical and natural place for a trail. After you reach the terminus of the Botheration Trail, follow Halfway Brook Trail to towards Barton’s Road. You pass some nice glimpses of The Vly. 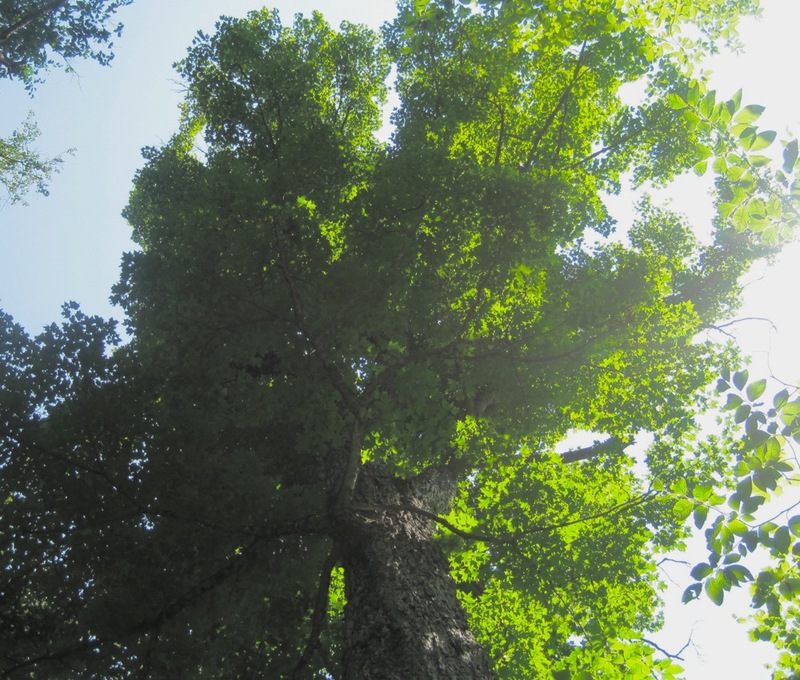 And you head through more big beautiful trees. I love this part of NY.